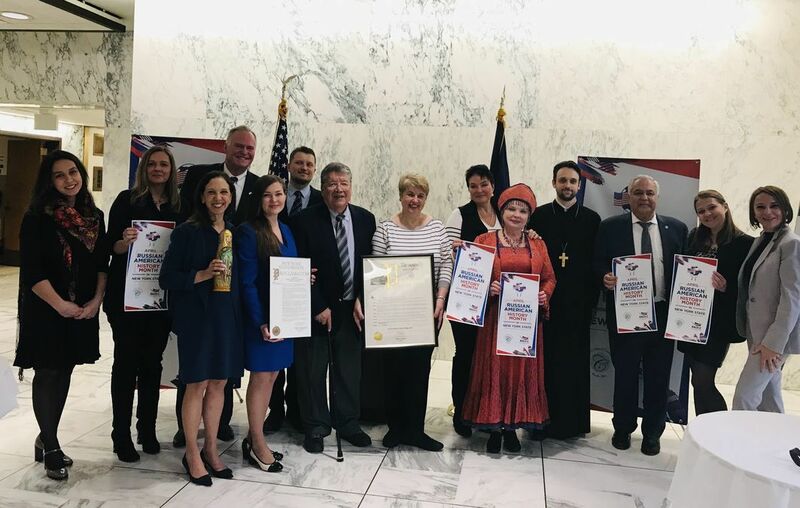 For the eighth consecutive year, the Senate and the Assembly of the New York State Legislature adopted a resolution initiated by a coalition of organizations of Russian compatriots to establish the State of Russian-American History. 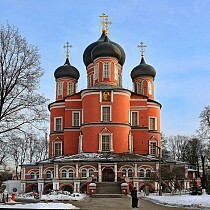 The initiative is traditionally supported by the Representation of the Moscow Patriarchate in the USA and the Permanent Representation of the World Russian National Council at the United Nations. 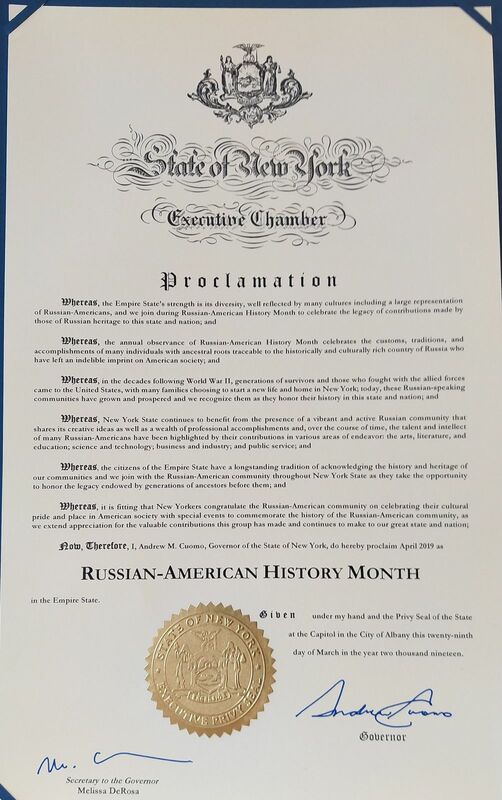 On March 26, the New York State Senate adopted a resolution in which April 2019 is declared the Month of Russian-American History in New York State. The resolution was co-sponsored by state senators L. Sepúlveda and R. Jackson, as well as Assembly member Carmen De La Rosa, who spoke in the Senate and the Assembly recognizing the great role of Russians and Russian-speaking Americans in the history, culture and economy of the country. At the hearing, the names of many well-known immigrants who came from Russia and the USSR for more than 250 years of history since the first Russians landed on American shores were listed. On April 8, members of the coalition led by the President of the Russian-American Cultural Center "Heritage" Olga Zatsepina took part in a joint ceremonial meeting of the Senate and the State Assembly, during which the resolution was officially listed in the register of documents of legislative bodies. 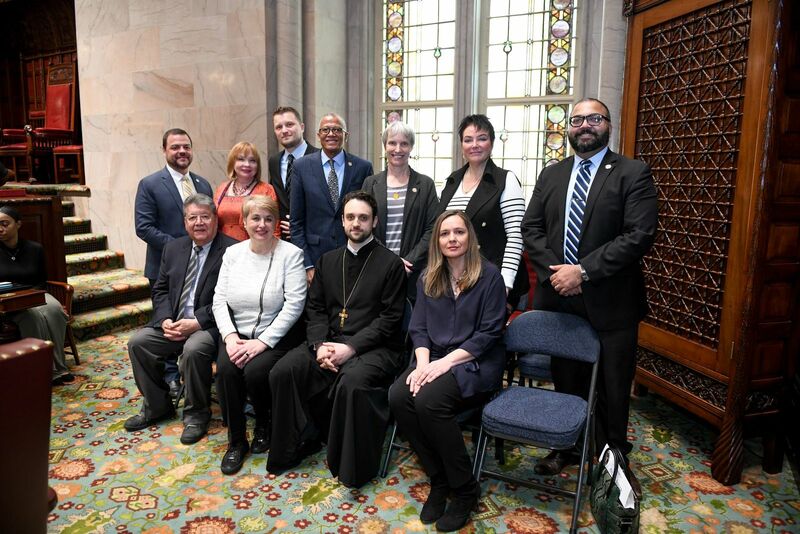 The delegation representing Russian cultural organizations included a cleric of St. Nicholas Patriarchal Cathedral in New York, Priest Mark Rashkov, who, at the request of the senators, blessed the work of the Senate and the Assembly.